New series. 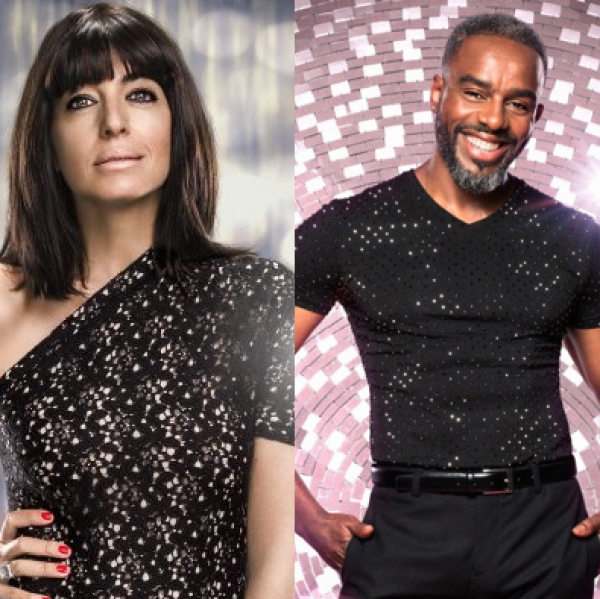 The pro-celebrity ballroom contest hosted by Tess Daly and Claudia Winkleman returns, featuring a medley of Nile Rodgers' greatest hits performed by Chic and the man himself. Nile is also joined by Craig David and Stefflon Don for a special performance of their new single. The line-up this year features former Pussycat Dolls singer Ashley Roberts, Casualty actor Charles Venn (Jacob Masters), Red Dwarf's Danny John-Jules, Steps singer Faye Tozer, former England cricketer Graeme Swann, YouTube personality Joe Sugg, BBC newsreader Kate Silverton, TV presenter and campaigner Katie Piper, Paralympic swimmer and paratriathlete Lauren Steadman, Blue singer and former EastEnders actor Lee Ryan, This Morning doctor Ranj Singh, stand-up comedian Seann Walsh, investigative journalist Stacey Dooley, TV presenter and fashion expert Susannah Constantine, and radio DJ Vick Hope. Shirley Ballas, Bruno Tonioli, Darcey Bussell and Craig Revel Horwood all return to the judging desk, keeping a close eye on the contestants as they make their first moves on the famous dancefloor. Watch on BBC1 Saturday's at 7:35pm.